This is a stunning feature womens sport watch with an oversize case and silver sunray dial. Applied polished chrome hour markers with inset day date 24-hour dial functions. The bracelet is part brushed part polished and is finished with a safety fold over clasp. The watch comes with the Guess 2 year manufacturers warranty. 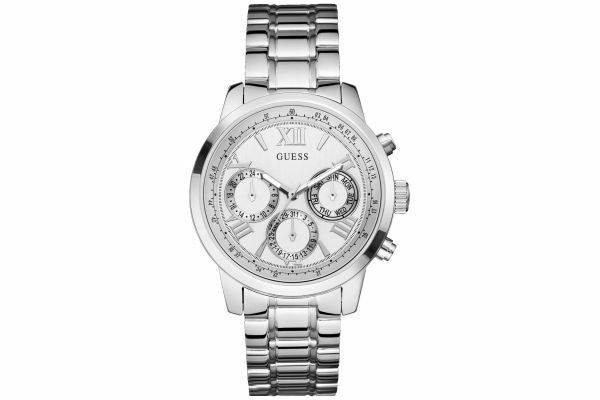 For us to size your new Guess Sunrise watch as accurately as possible, please take a look at our downloadable Watch Sizing Guide.